Lakeland Limo Services is your wedding limousine service that will pamper and spoil you on your special day! Our wedding limo services in Lakeland, FL are creme de la creme, and your wedding weekend will be magical in every way you've always dreamed. We will make every effort to ensure your memories last a lifetime, and provide you and your families the very best service at an affordable rate. We spare no effort to make every aspect of our service 100% impeccable, from the chauffeur's attire, to the cleanliness of the limousine, to the overall service and elegance. It will all be perfection on your big day. Our luxury limos are the best in Lakeland. They are impeccably detailed every day. They have all the latest technology and upgrades, including silky soft leather seats, flat screen TV's, superior sound systems, and elegance fit for the Royal Family! Your limo will arrive early for every event in your schedule on your wedding day, and whisk you away in style and elegance from your home to the ceremony, and then to your reception. 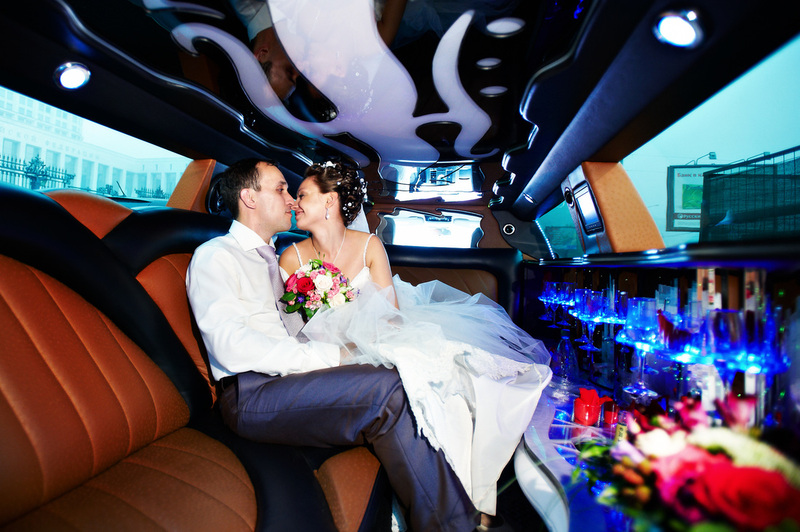 After your reception is over and you are finally Mr. and Mrs. after a long and beautiful day, you can relax and unwind in your comfortable super stretch limo on the way to the hotel. The next morning we can pick you up at your hotel, and take you to any airport in Lakeland, Tampa, or Orlando to make sure you are on time and don't miss the Honeymoon! Then you and your better half go have the time of your lives and make magical memories. Upon your return from the Honeymoon, we will have elite transportation from the airport back to your home, riding in style! We have a superior fleet of limos to accommodate your every need, from your basic stretch limo, to the newest super-stretch SUV limousines. No matter your preference, we will have your wedding party covered and will make it an unforgettable day when you reserve your wedding limousine in Lakeland! We also know how important your wedding album is, so our Chauffeurs will accommodate your every need to make sure you have all the right shots for your wedding album. Our favorite is always the "Just Married" shot as you leave the reception in one of our elite limos, so don't forget to take that photo...many people do! We have custom wedding packages for the whole weekend's events, including luxury service in Lakeland to and from the Recital dinner, and also the day after the wedding to accommodate your families. What better way to make a real impression on your new in-laws then to tell them that their stretch limousine will take them to the airport the next afternoon at 3:00pm. Wow, that's getting things off on the right foot! So on your special day, put your trust in Lakeland Limo Services to pamper and spoil you with a comfortable, classy, elegant, and affordable experience that you will remember for a lifetime! If you are planning a wedding in Lakeland, make sure you reserve the best. Call us for a FREE quote at 863-201-4470!